The third exhibition of our Raiding the Crates permanent collection series features a Central American art form: Guatemalan Textiles. There are many unique aspects to this art form, and one is the way it is made. 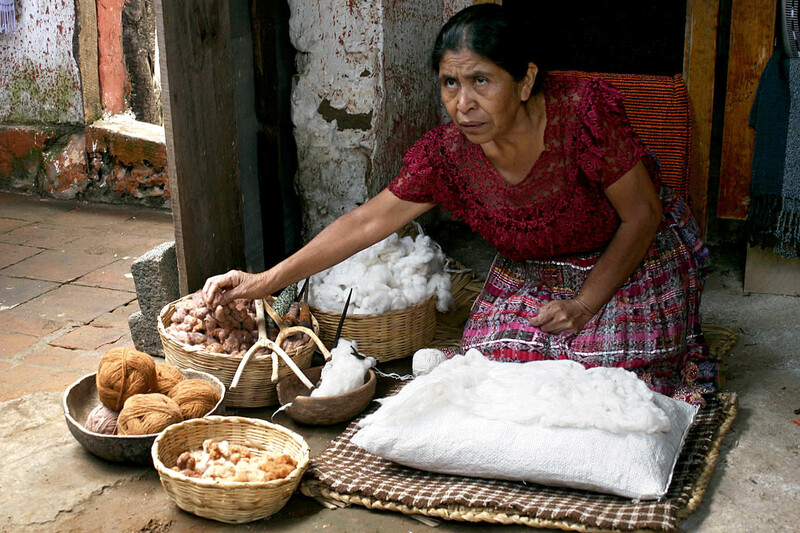 The backstrap loom dates back to ancient civilizations, and is used widely by Mayan cultures. and warp is the perpendicular yarn (image source). essential parts of the loom, and also represent 13 female deities, called Ixoc Ahaua. body parts, again emphasizing the connection between looms and birth, children. 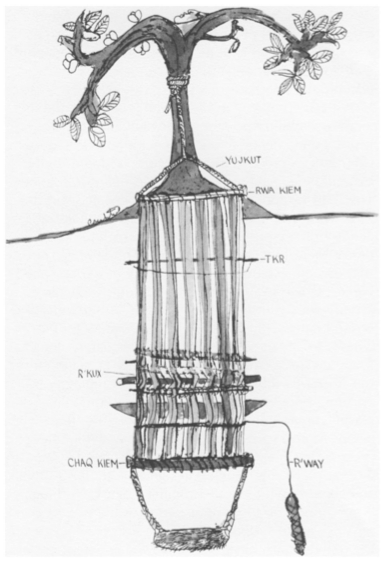 the Tzutukil Maya of Guatemala," RES: Anthropology and Aesthetics, 15, Spring 1988, pp. 125. The backstrap loom has been used by Mayan weavers for at least 2,000 years! Traditional stories liken the human body to a woven fabric. Traditional communities use hand-made yarn, like hand-spun cotton, which is more fragile than conventionally produced yarn, so it goes through a special strengthening process so that they will not snap during the weaving process. They also primarily use natural dyes. Below is video of traditional Guatemalan weaving using a backstrap loom.